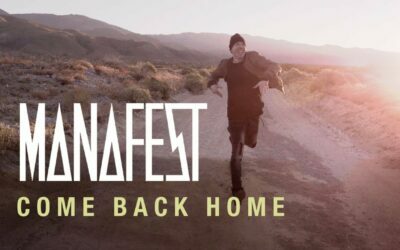 Following the success of Neon Steeple and American Prodigal, Crowder asks the question—what happens after the prodigal son’s welcome home party? In I Know A Ghost he answers this in true Crowder fashion, experimenting with his trademark Americana and alternative tones to explore the transformative and saving power of the Holy Spirit—or Ghost, in our lives. The title track sets the scene for this album, and creates a mystical and mysterious tone that permeates every song. Combining his trademark Americana feel with synth-laden beats, Crowder reaches an extreme level of intensity, forming what feels like an epic movie score to communicate the wildness and mystery of the Holy Spirit. The single “Wildfire” continues this story, and the addition of bongo’s and natural sound coincide with Crowder’s distorted vocals in the chorus. It’s weird and quirky, but there’s something about this pop-infused alt-rock track that works, and that’s due to Crowder’s ability to take you to a new place with this song. As he sings “Wildfire, come down from the mountain,” you find yourself in the shoes of the Israelites as they meet God for the first time after the Exodus. This makes the eeriness of this song powerful, rather than strange. Diving headlong into the most pivotal parts of the gospel, “Golgotha Hill (King of Love)” chronicles Jesus’ walk to the cross. The strings and choir-like backing vocals could come across as cliché and over done, but the darkness of the track, mixed with the first person narrative makes it generally moving and powerful. The breakdown and quiet that follows gives a sound to the cosmic victory that took place when Jesus was crucified, and Crowder’s gravelly tones only aid in accentuating this. Hillsong United’s Taya Gaukrodger features in “Crushing Snakes” and gives a spine tinging bridge to this stellar battle cry. Quoting the Bible verbatim, the imagery of Christ crushing the Devil as a snake is both terrifying and wondrous. 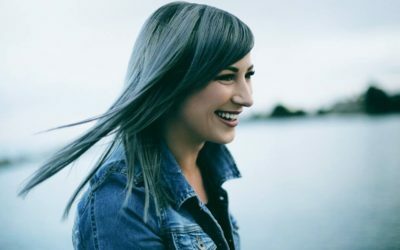 Hold out through the first few repetitive verses for the chorus because after Taya enters, the song rises to a place that will embolden you to claim your own freedom in Christ and declare it in the heavenly places. “Red Letters” is one of the most accessible and corporate songs on ‘I Know a Ghost.’ It steps out of the melancholy place of the earlier tracks, using piano and uplifting vocals to engage the listener. It is a predictable tune about the power and redemption we have in Christ and exactly what you’d expect to hear on the next version of WOW hits, but there’s no denying Crowder does it well. Duet number two is between Crowder and Mandisa in “Let It Rain”. A fun gospel song with a quirky bass line, the combination of the vocals is unexpected, but will put a huge smile on your face. The prayer asking for more of God and his spirit is perfect for lifting your mood, but still retains the awe and majesty found earlier in the album where they sing, “Let it rain if you want, you are God and I am not”. Pull out your cowboy boots for “Everyday I’m blessed,” because the Crowder we know and love is back with a vengeance in this toe-tapping song of thankfulness. The inclusion of Psalm 23’s Valley of the Shadow of Death is juxtaposed against the upbeat melody, highlighting the use of praise as a weapon when we are struggling. Old school fans of The David Crowder Band will also get a thrill out of the bridge, where Crowder literally sings the days of the week in a pop-tastic turn of events. Newcomer Riley Clemmons joins Crowder on “I’m Leaning On You”, the second gospel track of the album. A simple chord progression is perfect for the heartfelt prayer about depending on God, and you can hear the desperation in both artists as they proclaim about God’s love. We return to the dark and mysterious tone of the early album with “No Rival,” and its sound is reminiscent of a 80s power ballad, but the inclusion of a rap by JR makes it contemporary. The banjo and fiddle come back out for “Child of God,” and is an unusual and fun take of being in the world but not of it. They continue into “Happy Day,” which seems fitting for a short and snappy Crowder song about the resurrection. This isn’t the Tim Hughes classic, and if Americana isn’t your jam you will struggle through these verses. Fans of Rend of Collective will eat this up though. “Night Like This” may as well have been recorded in Alabama because it is the most country song on the entire album. The fact it’s all about making music with those you love on at a rousing church service makes it more CMT than CCM, which if we’re honest, should probably be done more often. In an unexpected turn of events Social Club Misfits join Crowder for the hoedown-like “La Luz”. Depicting the party that happened after the prodigal son returned home, it summarises the major themes in the album. Social Club fit nicely into the track and rap in Spanish, making it Urban Americana—and if that wasn’t a genre before, it certainly is now. “Hundred Miles” is akin to an acoustic based hymn that grows into a fully-fledged praise song, and this makes space for “Ghost” to wrap up the album with reverence and expectation. I Know A Ghost is an experimental and powerful album, full of Biblical truth and authentic worship. If you lean in to this, you will experience God in a new way and leave with a greater understanding of the wildness of the Holy Spirit. Musically it is quintessentially Crowder, but with a more ambient, urban vibe. A solid release and conclusion to the singer’s three part album series. Read our feature interview with Crowder here. Crowder features on Episode 1 of the Between You & Me JesusWired Podcast! Hear the full interview and subscribe here.